My church had an annual dinner theatre to raise money for our much depleted coffers. Murder at the Family Reunion, the 2006 show, was set in a Tiki Bar and I insanely volunteered to create a menu to feed the masses. Note: If you ever get the opportunity to cook for ninety-two people, think long and hard and then make sure that you work with fun people who are calm. My partner in the kitchen, Judi, was all of that and more. We had a blast, a few mini breakdowns and many great laughs. Morale of the story: volunteering is very good for the soul. 1. In a plastic bag mix together the flour, paprika and curry powder. Place the chicken in the bag, close it and then give a good shake. 2. Dump the chicken into the crock pot and any of the flour coating that is still in the bag. 3. Sprinkle with the onion and pepper. 4. Mix together soy sauce and brown sugar. Pour over chicken. Pour the can of pineapple over top. 5. Place lid on the crock pot and cook on Low for 4-5 hours or until chicken is cooked. 6. Remove lid and add peppers. Place lid back on and continue cooking for 30-45 minutes or until soft. 7. 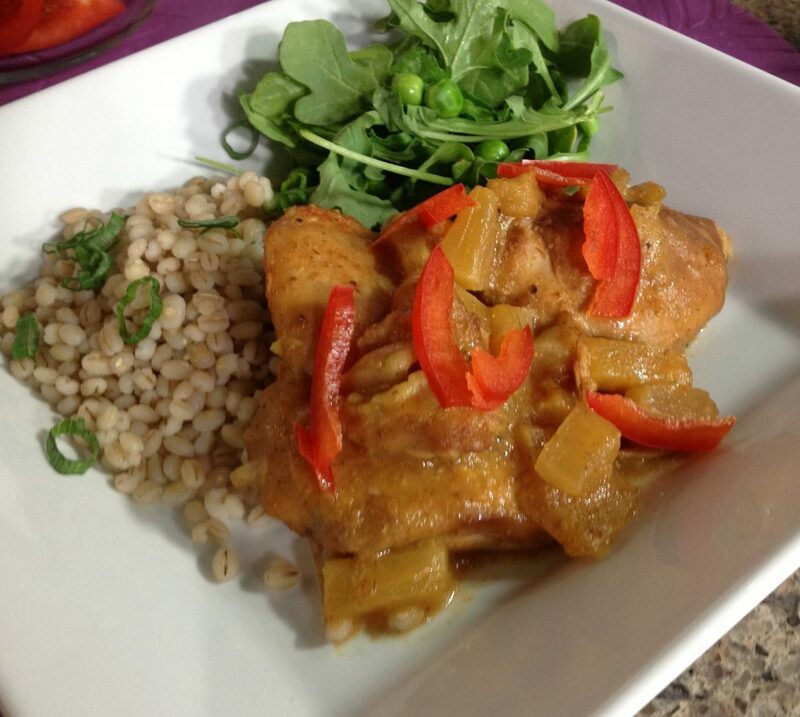 Serve with cooked brown rice or barley, I served in on barley in the picture. Double the recipe adding 1-3 more hours of cooking time. Serve half the recipe; four servings on Day one as is. 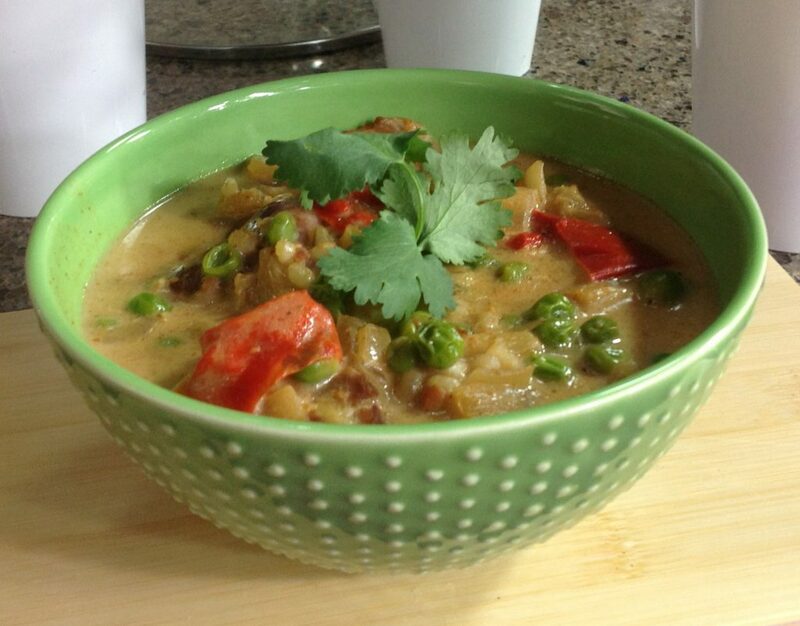 Two days later reheat the leftovers, add 2 cups (50 mL) of cooked brown rice or barley and 2 cups (500 mL) frozen peas heat through, add 1 – 385 mL can low fat coconut milk and serve.